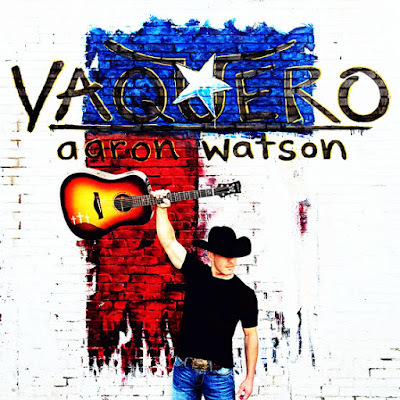 Vaquero, the new album from independent country artist Aaron Watson debuts in the Top 10 on the Billboard 200 albums chart with his biggest career sales week to date, and #2 on the Top Country Albums chart with 39,000 equivalent album units in total consumption. Vaquero landed at #1 on Billboard’s Independent Albums chart across all genres. The singer-songwriter, with his groundswell of loyal fans, opened at #1 on iTunes Country Albums chart and has continued to stay perched in the top spot consistently for over a week. As momentum of the release increased over the week, Watson soared to #1 on the iTunes All-Genre chart. Watson made history in 2015 when his 10th studio album The Underdog hit #1 on the Billboard Top Country Albums chart (26,000 albums sold), making him the first-ever independent, male country artist to debut in the coveted top spot. Watson’s rise was paved by years of hard work and perseverance, and his story is currently featured in an extensive 9-page piece in Texas Monthly’s March issue. Read the in-depth article, HERE. Vaquero has released to overwhelming support from press, including Billboard, Rolling Stone Country, Noisey, The Boot, Taste Of Country and more. All have praised Watson’s well-crafted songs; his impressive path carved outside of the Nashville establishment and his steadfast commitment to his Texas roots. See more press highlights HERE. "Watson’s knack for shaping sharp, hooky choruses makes this eleventh edition to his catalog not just a worthy complement to ‘The Underdog,’ but a textbook example of his talents in a genre overflowing with shapeless, cookie cutter ‘bro country,’ little of which is half as enjoyable or well-crafted as the majority of ‘Vaquero’." Watson shared a snapshot of the last 18 years and his slow-and-steady climb to the top with fans via Facebook in a video that has gone viral, racking up over 6 million views, HERE.